of the Redwood Concert Ballet, the holiday classic is back in Humboldt. THE NUTCRACKER. IT'S THE QUINTESSENTIAL Humboldt holiday dance event, a local tradition that began over 25 years ago when a Eureka dance teacher, Virginia Niekrasz-Laurent, put on the ballet for the first time. Niekrasz went on to form a nonprofit dance company, Redwood Concert Ballet, a group that staged Nutcracker every year -- until last year. Today, Furlong and a new group of Redwood Concert Ballet dancers are at work preparing a rebirth of the Nutcracker, to be performed at the Van Duzer Theatre the weekend before Christmas. Meanwhile, Niekrasz is mounting her own holiday show, set to open this weekend. After regrouping her students under the name BRAVA! DanceEureka, she is putting the finishing touches on a production called A Humboldt County Christmas Past, Present... and Future -- one that happens to include "The Nutcracker Suite," an excerpt from the classic ballet. With ballet moms sewing costumes into the wee hours, leaders from both dance companies speak of moving forward and putting the past behind. But as the two performances near, it's clear the wounds are not completely healed. At the heart of the controversy is why the board gave the boot to Niekrasz, the venerable and much-loved teacher to hundreds of young Humboldt County dancers. One line of speculation is that she ran afoul of the company's chief financial backers, Rob and Cherie Arkley, after she made a casting decision that was unfavorable to their youngest daughter. Another school of thought is that Niekrasz' strong-willed, uncompromising persona, combined with some minor differences over financial matters, finally wore thin with the group's board of directors. What actually happened is likely to remain shrouded in mystery. Because it's a personnel issue, board members are prevented from discussing details. Niekrasz signed a non-disclosure agreement when she left. In the course of a year the RCB board went from a $67,000 budget and assets that were basically limited to boxes of costumes, props and sets, to a budget in excess of $270,000. 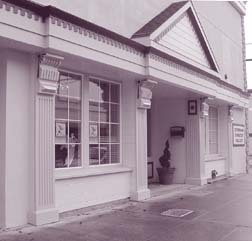 Assets included the new building valued at over $500,000. Niekrasz [ in photo at right] was born in Eureka, where she learned to dance. At the age of 4 she became a student at Betty Merriweather's School of Ballet in an old house on H Street that was Merriweather's home and her dance studio. Many years later, Niekrasz took over the studio and it became her own home, and home to her business, the Dancers Studio. "When I first came in here I was frightened to death. I was a very shy child. No one can believe that now," she recalled when we sat down in a room just inside the front door, an anteroom that leads to a studio with mirrored walls. Years of training paid off and when she was old enough Niekrasz went to New York to dance professionally. "I did night club work, jazz dance; I did a season with Pittsburgh Light Opera doing summer stock. I quit dance for a year, but it tugged at my heartstrings. I had to get back to it." Returning to California, she worked for a while in San Francisco with the dancer Merriem Lanova. "Then I was offered this studio on a one-year trial basis while Betty was still living here. I said, `Okay, you know what? I'm going to go back to Eureka and put the studio on its feet. I'm going to do something.' And I did. I perhaps gave up my [own] dance career a bit early, but I'm not sad." That was in 1972. With the establishment of the Dancers Studio, she developed a strong support group, basically mothers of young ballerinas. They helped her put on recitals, then two years later she mounted her first production of Nutcracker. 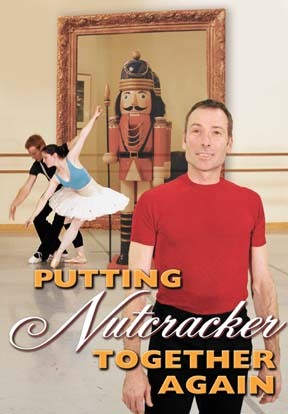 "We were sitting around one day talking and I said, `What do you think about doing Nutcracker? Your daughter [she said to one of the ballet moms] would be a great Clara.' And it just happened. We had a yard sale out front. We made $150 and thought we were rich, so we went for it." The production was a success. Performances were held for schools and for the public in Ferndale, in Fortuna and in Eureka. "By the time we hit Eureka for our final performance we had to hold the curtain at least 20 minutes because people were lined up around the block. It was overwhelming." For the first 10 years Niekrasz performed the role of the Sugar Plum Fairy and she continued to dance other prominent roles for 10 more years. She also served as teacher, choreographer and ballet mistress, not to mention coordinating sound, lighting, sets, costumes and staging. Of course, the annual production went hand in hand with her work at the studio. "Dancers have to perform. 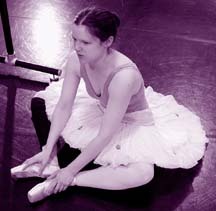 Ballet technique is about repetition. Your muscles learn it and you expand it. But you need that recital to prove what you can do. "I've seen it again and again, the incredible difference between a kid who is taking ballet class, a normal kid doing the exercises; then you put them in a part onstage and `boom,' this whole new personality emerges, this desire and inspiration that makes them improve and grow." Nourishing dancers and watching them grow is clearly Niekrasz' life work and her passion. She can go on and on about dancers from her studio who went on to professional careers. She displays their photos on the walls of her studio along with some new additions: proclamations she received at a ceremony in November from the county, the state and Congress honoring her for "30 years of dedication to dance in Humboldt County." There's a key point to remember in any attempt to understand how Niekrasz, an honored teacher, could end up losing her company. While she trained her dancers at her own studio, a private business where she called all the shots, Redwood Concert Ballet was a nonprofit, one with an independent board of directors where it is up to a majority to decide what was best for the company. "I had a board for 20 years that did whatever I asked them to do," said Niekrasz. "When I needed something done, someone would take care of it. None of them were rich, but they worked their tails off because they believed in what I was doing. "I was it. People did things for me," she said. But over the years the makeup of the board changed. Not all of the members were ballet moms who "did things" for her. And while no one ever questioned Niekrasz' dedication to dance, questions began to surface about other things -- such as the fact that the company's annual spring production was a consistent money-loser. And, Arkleys aside, the fact that Niekrasz was set in her beliefs and intent on doing things her own way probably didn't help matters much. On Sept. 24, 2001, the board voted to remove her as artistic director and it became painfully, shockingly clear that the board Niekrasz had dominated for so long had turned on her. Two board members resigned in protest. In the end, as Niekrasz put it, "The company that I founded and directed for almost 30 years was taken away from me. "The dancers were devastated. We had a meeting the next night. I said, `Look, you guys, I'm still here. We are together, and we are going to do things.' I got involved with Falderal [a holiday dance production last year] and eight of my dancers performed. In many ways, I'm [now] back where I was, and I'm very comfortable with it." "The transition was an awkward situation for a lot of people, myself included," said Furlong, as we sat down to lunch in Old Town. "I have nothing but praise for Virginia Niekrasz. I came up here to work for her. And Virginia worked long and hard to build this organization. I have complete respect for her and wish her only the best. She is an absolutely tireless woman. She is an institution." Furlong said the director's position is not all that different from his old job as balletmaster. 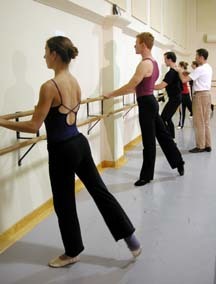 "Balletmaster is a person who teaches class and rehearses ballets," he explained. "Just about anybody who is a director is a balletmaster. I am artistic director, but I am still the balletmaster, which means I have to whip people into shape. I also use the term dance coach." Furlong grew up near Pittsburgh, Pa., "where I did not study any dance whatsoever." He left home at 18, "the day after I graduated from high school," catching a train for California. He discovered dance at Chaffey College, a junior college in southern California. "I studied a little bit of modern dance my first year and became very intoxicated by the form." One of the first things he saw in class was a videotape of a piece by the choreographer Martha Graham. In one section, "the men came out from upstage left doing a series of barrel turns, a jump where you throw your torso up and over the top. They seemed to be flying, just flying. "I was always athletic. I love to run, jump and climb, and I thought to myself that moment, `If I do nothing else in my life, I am going to do that.' It was the only time in my life I ever made a clear decision." At first he wanted to focus on modern dance, but he soon discovered the world of ballet. After studying briefly at Riverside Ballet Arts he headed back East on a scholarship to the School of American Ballet in New York. He spent four years dancing in the city, followed by five years in Canada. Along the way he experimented with choreography. Drawn back to California, he danced with Alonzo King's LINES Contemporary Ballet in San Francisco and with San Francisco Opera Ballet, where he has been part of the company for 13 seasons. "I played all sorts of roles: fantasy creatures, young men and old, clowns, kings -- I played kings a lot. In fact, I would say the chapter on the opera ballet in my autobiography would be titled `Kings and Clowns.'" Off-season he often hung out in Southern Humboldt on property owned by his partner, Alfred Tix. Despite the remoteness, he found there was a dance company, Feet First Dancers, but not necessarily one that had been exposed to ballet, and he volunteered his time as dance master. He began coming to the northern part of the county, first as a guest artist for a 1994 RCB production of Nutcracker where he played the Cavalier, then again when Niekrasz invited him to teach at a summer session for the Dancers Studio. "I donated my time to help with a Swan Lake production she did, coached the dancers and taught, then I was hired to be balletmaster." Not long after the meeting where Niekrasz was dismissed, the RCB board announced that they were offering the artistic director spot to Furlong. He accepted, but not without some hesitation because of his respect for Niekrasz. Looking back on it, he said the force of his former mentor's personality was her undoing. "Virginia is a self-made person and strong-willed, and like most self-made people, she has a stubborn streak," said Furlong. "It comes from knowing you can get something done. I just think that, with the acquisition of the new building, the enterprise got to a place and a level where the board was not happy with the way it was being run. "The building is a magnificent facility, one of the finest environments of its kind in Northern California. It was definitely one of the factors of my taking the job when it was offered to me." Even before we sat down to talk, Furlong expressed a desire to "dispel some of the myths" about how he ended up in charge of the company, and why Niekrasz lost her position. "There's a mythology that I was somehow behind it. I wasn't even here when it happened," he explained. In fact, he said, he wasn't even available until the end of the year, more than three months after Niekrasz' dismissal. Furlong addressed another much-gossiped-about issue -- that the Arkleys pushed for Niekrasz' dismissal after she decided not to cast their younger daughter as Clara, one of the starring roles in The Nutcracker. "That is absolute malarkey. I hate to even talk about it, but it puts the Arkleys, who I see as friends, in a bad light and I don't feel it's justified or fair." Former board member Donna Hunter is quick to admit that she does not see the Arkleys as friends and that she herself is totally biased: Virginia Niekrasz is her daughter. Hunter was one of the board members who resigned when Niekrasz was fired. "Virginia has never played favorites with her dancers," said Hunter. "This all happened because some little girl didn't get the part her parents wanted her to get. They worked on it for a year and a half until they got her [Niekrasz] out of there." Cherie Arkley, former Eureka City Council member who last month narrowly lost a bid to become mayor, vehemently denied the allegation. "People attribute a lot more power to us than we have," she said. "We didn't have any power to remove her at all. All we wanted to do was gift the building to make a new space for the company. That's all. "It's true our daughter did not get Clara. And being parents we were momentarily upset. But we got over it rather quickly. "People don't think about the chronology," she continued. "The board did not vote on Virginia's removal until two years [after that]. Let's not forget, in the meantime, after our daughter was denied the part, we still gave the F Street building to the board of directors. We could have stopped it if we were that mad." Like other board members, Arkley will not discuss what happened at the meeting on Sept. 24. "There were 10 members on the board and I was only one person. I didn't even know most of the people on the board. It's amazing this notion of the big, bad, ugly, evil, mean Arkleys; it's not true," she said. "I was there," said Hunter. "It was cut and dried, decided before the meeting even started. There were three or four brand new members who voted her out. What does that tell you? Would you ever go on a board that you'd never been on and vote for somebody to be dismissed who was there for 27 years? "Those people were brought on to the board for this purpose. It all had to do with money. The board figured if they went along with the Arkleys they would continue to support the company, which they have. "It's very sad," Hunter concludes. "Virginia gave her life to this, put her heart and soul into it. It was even more sad for her dancers." Arkley conceded that the decision was painful, but said everyone needs to move on. "From the bottom of my heart I wish the best to Virginia and for the Dancers Studio and for her new company. We do not want to live in the past and in anger," she added. The holiday ballet, The Nutcracker , begins with a Christmas party. Gifts are exchanged, including a very special present, a beautiful nutcracker, given to a girl named Clara by her godfather. In a fit of jealousy, Clara's brother, Fritz, grabs the nutcracker and it is broken. Clara is heartsick, and sensing this, her godfather tries to fix the toy. The guests depart and everyone goes to bed, but Clara is restless. Worried about her precious nutcracker she returns to the Christmas tree, where strange things are happening. Clara is transported to a dream world. Before long a battle is raging as a Mouse King and his army capture Clara and the Nutcracker comes to life to attempt a rescue. When the Nutcracker is also captured, Clara steps in and deals a fatal blow to the Mouse King. In another transformation the Nutcracker becomes a handsome prince and Clara is whisked away to magic lands of snow and sweets before awakening to find herself once again beneath the tree clutching her beloved nutcracker. One of the major hurdles Furlong faced when taking on the role of artistic director was that, with a few exceptions, RCB's dancers stuck with Niekrasz. Allegiances run deep in the dance world. Most of the other ballet dancers in the area trained with Nadine Cole, director of the New World Youth Ballet, and they weren't about to dance for Danny either. 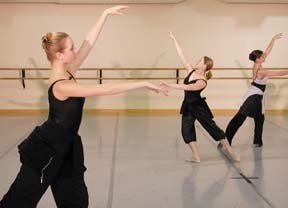 "All dancers have loyalties to their main teacher -- and that's to be expected," said Furlong. "I held two auditions for dancers who were interested in being part of [Nutcracker] and no one showed up from either of the major ballet studios here. It's unfortunate that their loyalty does not permit them to come and get some of what I have. "I had to rebuild the school from the ground up when I came. It was very hard. I had two students in the beginning. Now I'm at the point where I have a full classroom of dancers. They're not advanced, they're definitely intermediate, but I have started a lot of people off who never would have started, particularly my men. No man who is 30 years old will feel comfortable in a room full of teenaged girls, but I have a 30-year-old carpenter who feels comfortable, because there are people his age, men and women. "Virginia and Nadine have cornered the market of teenage girls. I'm offering an opportunity for those who want to figure it out a little later in life, as I did. That was a goal of mine, to bring in older dancers." As for the daunting task of putting together a Nutcracker production with a still evolving company, Furlong is not worried. "The Nutcracker is the indestructible ballet of all time. I have done it everywhere as a guest artist; I have danced pretty much every [male] role; I have been involved in every aspect," including staging and choreography. And he wants Humboldt County to be prepared for something different. "It's not going to look the same. For one thing, Virginia's production was based on a production she learned in San Francisco: Merriem Lanova's. She did it in three acts; ours will be two acts. "This is not an avant garde Nutcracker, it's definitely classical, completely honoring its past, but it's also more far-reaching in its scope and dance value. It is not based solely on ballet." One thing that will be quite different this year is the corps, the group of ballerinas who take center stage for the big numbers. While Niekrasz typically used the top of her class and augmented with returning alumni and occasional guest dancers, Furlong is bringing a bevy of ballerinas up from the Bay Area. "I didn't have enough quality girls on point to fill out my corps, so I hired extra girls from the city," he explained. "The irony of ironies is that what normally is a series of teenaged girls being partnered by middle-aged guys will end up being local men who are learning to partner with girls from somewhere else." Another change in the works is the company's new name -- North Coast Dance. "We wanted to make a separation from the past. That's the basic reason," Arkley explained. "We want to start anew, start fresh. We will retain the [old] name for a few years just to show continuity, to show the public that it's basically the same organization." Furlong said he sees the name change as part of his plan to bring the company into the 21st century. "Ballet is a dying art form, and it's dying because of overkill, overkill in sweetness and overkill in attempts to outdo the previous success. With ballet, too much of it can go the wrong way. It does not always have to be point shoes." As for Niekrasz, she has to all appearances put the past behind her. She remains fiercely dedicated to her young dancers, and she is fully involved in her new dance company. The other day things were bustling at the Dancers Studio. Rehearsals were underway for a holiday production that will include 50 dancers from 6 years old on up. "It's a totally new concept," Niekrasz explained. "There are some memorable moments from past productions of Nutcracker which will have a different twist. Then I pulled together different pieces of music, hopefully things that are recognizable as holiday music, traditional music, classical and contemporary." With dances set to tunes like "Baby, It's Cold Outside," it will be different. But what makes it a Humboldt County thing? "We pulled it down to a more basic level," she said. "It's not like when you go to the opera and think, `This is so highfalutin,' but that doesn't mean it's dowdy. I just finished choreographing the whole thing last night. The ballet gods were smiling. I'm hoping there's something for everyone in there." As we finished our interview, a pounding sounded at her door: It was deliverymen bringing a huge box holding a painted backdrop. Another box in the hall held new costume pieces that came in earlier. There were more costumes in progress on sewing machines in the anteroom. It was clear that Niekrasz had lots to do, and that the work had her exhilarated. But before we parted she wanted to add one more thing. "I'm doing this production for my students, for the community, for all of the people who look to me to produce something for their holiday enjoyment," she said with building passion. "I think it's important that I maintain and do things for my dancers because they are going on into the dance world. That's why I'm here. This production is about the dancers. "And I have to tell you they are doing an incredible job. There are moments that are stunning, moments that are charming, moments that will just make people want to sing. It's joyful, really joyful." BRAVA! Dance Eureka presents A Humboldt County Christmas, Past, Present and Future Saturday, Dec. 14 at 3 p.m. and 7:30 p.m. and Sunday Dec. 15 at 3 p.m. at Eureka High Auditorium. Call 443-4390 for reservations. North Coast Dance/Redwood Concert Ballet presents The Nutcracker Friday, Dec. 20, at 8 p.m. Two shows are scheduled for Saturday, Dec. 21, "The Sugarplum Matinee" at 2 p.m. and an 8 p.m. performance. A final matinee is set for Sunday, Dec. 22 at 2 p.m. Call 442-7779 for reservations. © Copyright 2002, North Coast Journal, Inc.